A winter car accident can be devastating, given the potential for harm and injuries when drivers are operating vehicles in dangerous conditions. If you have been involved in a car accident due to treacherous weather conditions, you should speak to an auto accident lawyer before accepting any settlements from other parties that are at fault. For this, and other reasons, it’s important to seek legal counsel from an auto accident lawyer if you have been injured in one of the recent winter weather events in Arkansas. Contact Attorney Group for Arkansas today to learn more about your legal rights. A winter storm in Little Rock during the first part of February 2014, gave rise to approximately 75 motor vehicle accidents. Additionally, state troopers had received dozens of calls for assistance coming from motorists who had run off the highways or who were stranded as a result of snowfall. Additionally, a few reports included crash scenes involving injured motorists who had been transported to local hospitals. State troopers were asking residents to stay off the roadways to reduce the volume of traffic and allow emergency vehicles to reach crash scenes. While some made the decision to leave their cars and seek shelter instead of attempting to drive through the adverse weather, others left their cars behind after sustaining damages in car crashes. One resident reported that he was driving down a hill, stalled out and slid into a 30-car pileup. The man that hit him and three other cars reportedly had three children in his vehicle. Several residents have publicized their concerns over the lack of preparation for the rough conditions, which could have prevented more accidents like what had happened over the weekend. Many feel that Arkansas, as a state, should take steps to be better prepared for dangerous weather conditions. However, it is important to remember that just because winter weather conditions create nearly-impossible driving conditions, or some believe it is the state’s fault for not being prepared, drivers can still be at fault for negligently causing an accident. An auto accident lawyer can provide injured victims with the legal counsel they need to recover financial compensation for the injuries caused by the negligence of another. However, if you were injured or your car was damaged due to the fault of another, winter weather conditions do not always excuse the other party from fault or blame, and you may wish to seek legal counsel from an auto accident lawyer to learn more about your rights. With so much damage in so little time, others may not be prepared for the hazardous conditions and may attempt to venture out to run errands or to purchase food from the local grocery store. People may travel to and from work, unable to take time off due to treacherous weather, and may also contribute to the likelihood of car accidents. It’s important to know that these people may attempt to avoid responsibility for causing a car accident by blaming the ice, poor visibility or snow-covered roads. An auto accident lawyer can work with you and help you to receive the compensation to which you may be entitled, regardless of the weather. Need an Auto Accident Lawyer in Arkansas? If you suffered damages due to the fault or negligence of another, regardless of weather conditions, consider seeking legal counsel from an auto accident lawyer. Contact Attorney Group for Arkansas today for your free, no-obligation consultation. 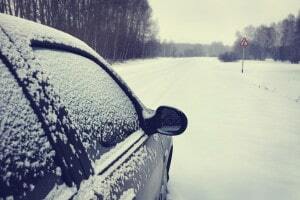 We can answer your questions about winter weather conditions and liability and connect you with an auto accident lawyer in Arkansas who can handle your claim and ensure you hold the appropriate party accountable for the injuries you sustained as the result of severe weather. You may be entitled to seek compensation for pain and suffering, lost wages and medical expenses.